Land Rover Dallas has a great selection of pre-owned vehicles. Welcome to Land Rover Dallas a premier Land Rover dealership in Dallas. We proudly serve the following cities Fort Worth, Irving, Arlington, Southlake, Coppell, Rockwall, Frisco, McKinney, Allen, Garland, Carrollton, Addison, Grand Prairie, Euless, Rowlett, Murphy, Wylie, Sachse, Lake Highlands, Highland Park, Farmers Branch, and Richardson, Texas. We have a substantial selection of new 2018-2019 Land Rover vehicles available along with a wide variety of quality pre-owned luxury cars, trucks, vans, and SUVs for sale at competitive prices. Our top ambition is to provide immaculate customer care for everyone that visits our dealership If you’re in need of Land Rover auto parts or need to schedule service for your vehicle, you can count on exceptional treatment from our dedicated staff. 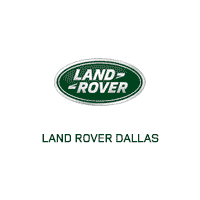 Land Rover Dallas is located at 11400 N Central Expy, Dallas, TX 75243. We proudly serve the following cities Fort Worth, Irving, Arlington, Southlake, Coppell, Rockwall, Frisco, McKinney, Allen, Garland, Carrollton, Addison, Grand Prairie, Euless, Rowlett, Murphy, Wylie, Sachse, Lake Highlands, Highland Park, Farmers Branch, and Richardson, Texas. Come in today to pick out your new Land Rover or used vehicle. We look forward to helping you while providing an impeccable automobile shopping experience.